Secret's out. At least to me who's always late or uninvited to the party. Walk down Ledras Street at any time of the day and you'll probably find Il Forno and the sidewalks around the restaurant packed with people having pasta and pizza. I rarely go to Il Forno. Even though their pastas are great, privacy is not their forte; there's nowhere to hide from curious onlookers and the hustle and bustle of Nicosia's main pedestrian area. Enter Oinoscent Cava & Wine Bar, Nicosia's latest addition to its growing wine bar scene and home to a solid selection of French and Italian wines. Oinoscent, latest project of the owner of the now defunct "The French Depot" on Kennedy Avenue, is a stylish, dimly-lit wine bar located diagonally across from Il Fourno and housed in an old shop right on Ledras Street. High tables and a long bar with stools are available for the hip or people with Napoleon complexes, lower tables for those with bad backs and a severe fear of heights. A large dark metallic wine rack sits behind the bar and mirrors cover the opposite wall, opening the space up. The locale's magnificent old tiled floors add a touch of rusticity to what is a chic yet casual establishment. Several cheese, charcuterie and fruit platters are on offer, now standard (and somewhat blah) fare at wine bars across the island. Here's the kicker, though. As we sat there with Mike Demo, The Wife, Ph.D., and Queen Insurance, patrons around us dug into large salads, bowls of creamy pasta and trays of pepperoni pizza. I flipped through the menu a few times in search of these elusive cooked dishes. Nothing. We then asked the waitress and she told us we could order anything off of Il Forno's menu, which is readily available if you are in on the secret. Here's my question to you—would you rather bump shoulders with other customers on a busy pedestrian thoroughfare or enjoy the same food indoors in a classy, low-key and more private environment? Whatever your choice, this sort of collaboration is a winner for both establishments; Il Forno gets a place where to send their overflow clientele, while Oinoscent builds a customer base and introduces more people to its fine wines. Best of all for wine lovers like me, this "partnership" allows you to match your food of choice with a great bottle of wine from the bar's solid selection. From perusing the wine list, it's obvious Oinoscent's strengths are the Old World. New World wines are available but I believe they take second place to their French (Bordeaux) and Italian (Piedmont) wines. Prices range from 20 Euros to the hundreds per bottle so there are plenty of options for all types of pockets. 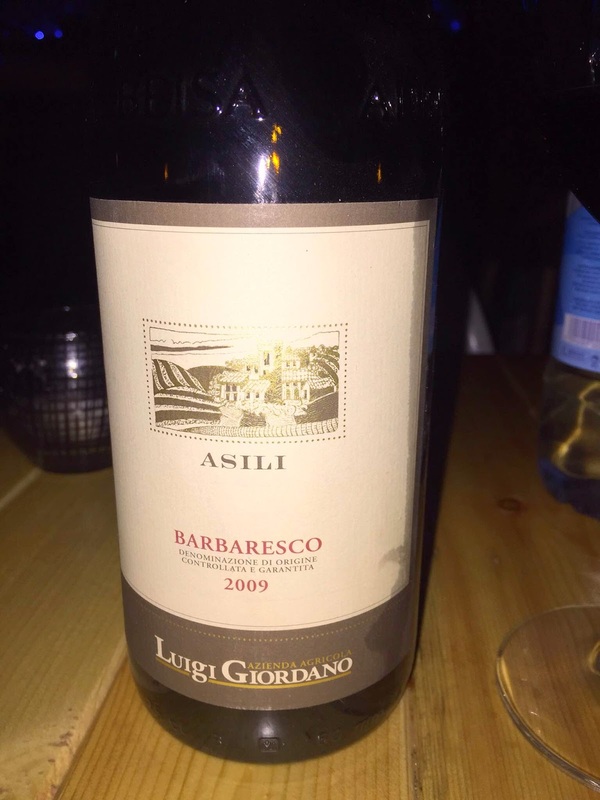 That evening, we sampled the 2012 Luigi Giordano Langhe Nebbiolo, a bright yet tannic red with concentrated dark cherry flavours, and the 2009 Luigi Giordano Asili Barbaresco, a more complex wine marked by notes of forrest berries, spice and cocoa.